The proposal to found Reformatory School for Boys in the West Riding came in 1853 at the initiative of a group of magistrates and other interested individuals, including churchman and benefactor Edward Wheatley-Balme, J.P., of Mirfield. A committee was formed to manage the scheme and raise funds. After an unsuccessful search for a site for the establishment, Mr Wheatley-Balme offered to rent the committee some property of his own at Calder Farm on Sands Lane, Mirfield. This included thirty-six acres of land and a farm-house which could be adapted for the purpose. The School was opened on November 22nd, 1855, with six boys transferred from the Hardwicke Reformatory in Gloucestershire. On December 15th, 1855, the premises were officially certified to accommodate 42 boys, either placed by the courts under the Youthful Offenders Act, or admitted voluntarily. The capacity of the School was increased to 100 following the opening in 1859 of an additional accommodation block a little distance to the south of the original building. All the dormitories were organised on the 'family group' system developed at the Mettray agricultural colony in France. Mr Wheatley-Balme took on the role of manager for the School. Mr Robins was appointed as superintendent, with his wife as matron. The other staff were a schoolmaster, farm bailiff and a labourer. The Robins were succeeded in 1860 by John and Mary Hepple. Calder Farm Reformatory for Boys site, Mirfield, c.1907. At about 2 a.m. on 6th March, 1857, a fire was discovered in outbuildings of 'Cotewall', the residence of Mr Wheatley-Balme, a little distance along Sands Lane. After the alarm was raised, a number of boys from the School were soon on the spot and assisted in extinguishing the flames. On the evening of Saturday, April 2nd, 1864, an attempted murder took place at the School. At around 9 p.m., one of the inmates, Joseph Broadhead of Barnsley, aged 17, was finishing his duties as kitchen boy. He fastened the door of the bread-room, where he had been working, picked up a large carving knife, and went into the adjacent sitting room of the schoolmaster, Mr Johnson. There he found the schoolmaster's wife, Mrs Johnson, and his sister, Miss Louisa Johnson. Broadhead tried to stab Mrs Johnson but she evaded him and ran upstairs, where she fainted. Miss Johnson tried to escape from the room, but Broadhead stabbed her in the side and then in the shoulder, causing two serious wounds. The boy then tried to escape through the sitting-room window. The noise attracted the attention of the master, who arrived and overpowered Broadhead, with the police and a surgeon then being summoned. Miss Johnson subsequently recovered from her injuries. Broadhead received seven years penal servitude for his actions. In 1898, an experimental summer camp was set up on a hillside not far from the School buildings which were closed for a fortnight. The 83 inmates occupied bell tents ranged in two lines, facing inwards towards a broad parade, with a large marquee for stores and other facilities at the rear of the camp. Despite the holiday atmosphere, industrial occupations continued as normal. The boys paraded for drill at 6.30 a.m. After breakfast at 8 a.m. they divided into three sections: one for employment in the workshops, another for farm pursuits, and the third for recreation in the fields round about. At noon, a half-hour dinner break was followed by an hour's fun and games, before work resumed until tea at 6 p.m. Other activities such such as cricket were organised for the evening. At night, a guard of five, one of whom was appointed as corporal, was set, under one of the masters as sergeant, at the entrance to the camp. Each of the four privates alternately performed an hour's sentry duty with three hours sleep in the guard tent. The camp finished with a sports day and inspection by Lieutenant-Colonel Lee, commanding officer of the 1st King's Own (Yorkshire Light Infantry) regiment. The camp was judged a success and repeated in later years. The School's inspection report for 1900 noted that new farm buildings were completed. The inspector also commented that "Where a new move might be made with advantage is in regard to the boys' clothing. Clogs are now out of date in most districts, and such a pattern as is found here is rare. Night-shirts too might be introduced. They are healthy and a useful element in the discipline of cleanliness at which schools like this should aim. Lastly, tweed suits with a collar for Sundays, and an ordinary cloth cap would do much to develop a feeling of self-respect. Many schools which have abandoned velveteen and cords, find that to dress boys in tweed costs no more". The School heeded his advice and in 1904 it was noted that "two-thirds of the boys are now dressed in jerseys and the remainder in ordinary suits." In 1900, John Hepple reached the age of 77 and his son, also called John, had been appointed assistant master. Other full-time staff at that date were the schoolmaster (Mr H. Cooper), assistant schoolmaster (Mr J. Purvis), carpenter, assistant carpenter, shoemaker, gardener, farm bailiff, and under-matron. Non-resident officers were the drill-sergeant, band-master and singing master. On March 14th, 1902, John Hepple (senior) died and his son was appointed as his successor. Mrs Hepple continued as matron until her retirement in February, 1908, after 48 years' service. She was succeeded in the post by her daughter, Isabella. Mr E. Armitage was appointed as "master in training" in October, 1907, but left in 1909 and John and Isabella continued as master and matron. In 1908-12, a large new block was erected at the south-west of the original farmhouse. The first section, its west wing, came into use in August, 1909, and contained a new schoolroom, some 80 feet in length, with a dormitory above. The School's official capacity was raised to 120 in August, 1916. Also at around this time, an open-air swimming bath was constructed. Sports such as cricket and football were popular and the School regularly did well in fixtures against other local teams. In 1910, it was noted that the senior boys had given a good display of company drill, marching, and French Federal physical exercises, combined with semaphore signalling. The layout of School site in around 1922 is shown on the map below. Calder Farm Reformatory for Boys site, Mirfield, c.1922. John Hepple met a tragic end in December, 1917. Now Major Hepple, of the Command Field Ambulance, 7th Cyclist Brigade, he was returning to his quarters on York Road, Bridlington, after a night out with fellow officers. He apparently took a wrong turn and fell into the harbour near Langdale's Wharf, an exposed and dangerous place. His cries were heard but no-one could reach him in the darkness. A decline in the number of boys being committed to the School caused increasing financial pressures, and Calder Farm was closed on April 19, 1922. For more than 60 years, Mr E.J. Lockwood had served as the institution's joinery master. 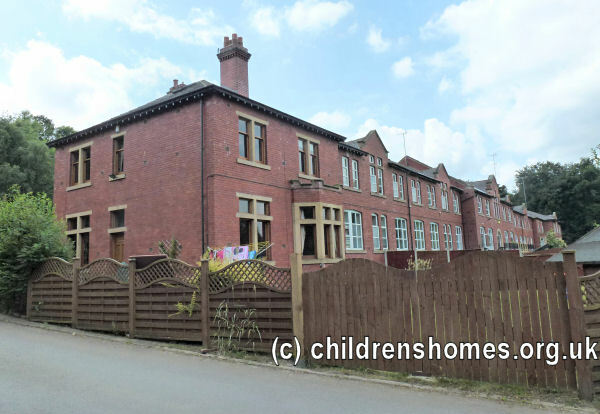 Only the new building of 1908 survives and is now occupied by a care home. 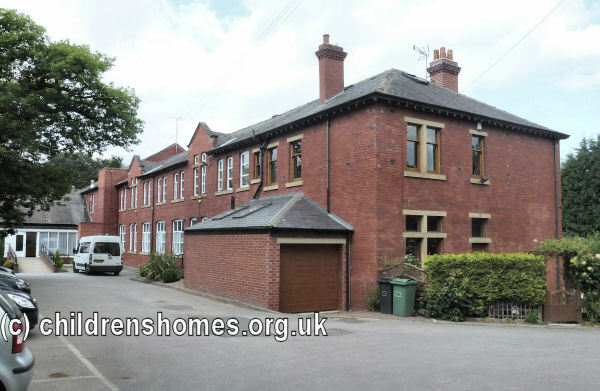 In August, 1910, the School opened an Auxiliary Home in a property known as 'Rock House' on Duke Street, Ravensthorpe. The Home, which could accommodate 7 boys, acted as a halfway-house for those about to leave the School and take up employment in the area. The home was closed in July, 1915. Ancestry.co.uk has Admission registers (1856-1914, with gaps) and Discharges (1859-1914).